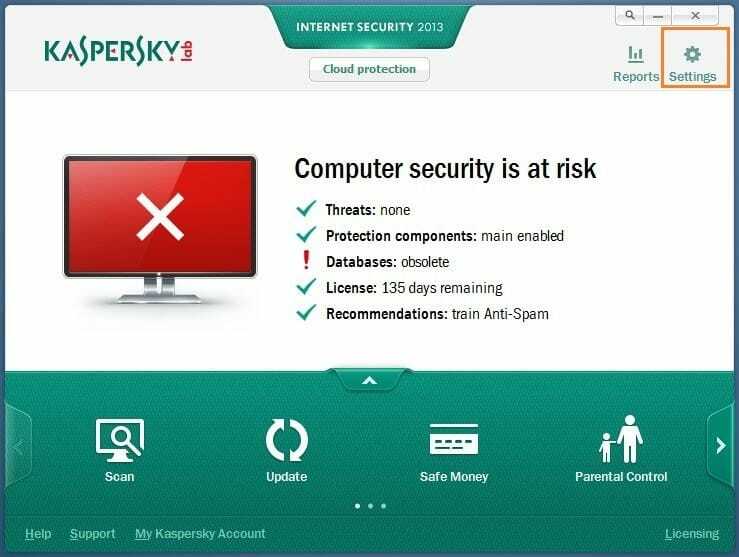 This guide is strictly for Kaspersky Antivirus and Internet Security users who often tweak and change the default settings of the product. 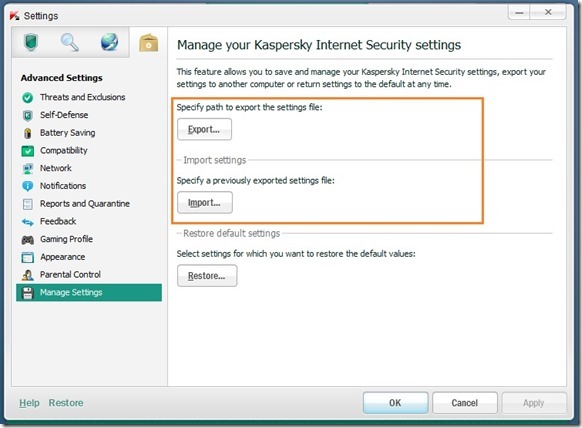 Many of us configure the various default settings and options of the Kaspersky Antivirus and Internet Security after installing the product to improve security and performance. Configuring the product again after a fresh installation of the software on another PC or on the same PC after reinstalling or resetting Windows (in Windows 8) can take some time. 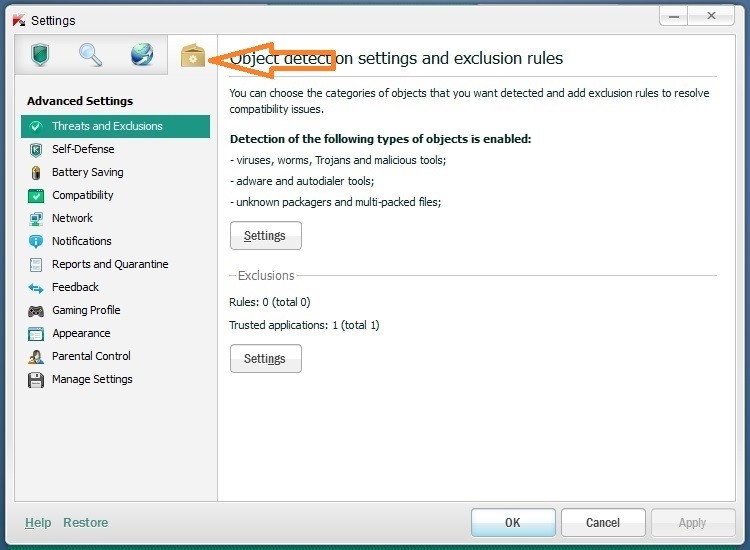 So if you have tweaked the default settings of your Kaspersky, it’s a good idea to export all settings to a file so that you can quickly import your settings in a few mouse clicks, when required. 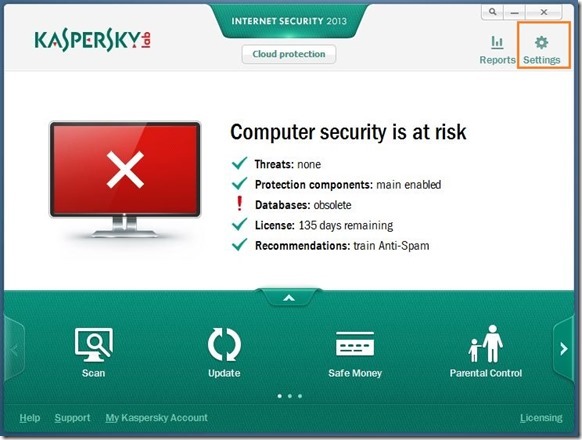 Step 1: Double-click on the Kaspersky icon present in the system tray to open Kaspersky home screen. Step 2: Click on the Settings button located on the upper right corner to open Settings dialog. 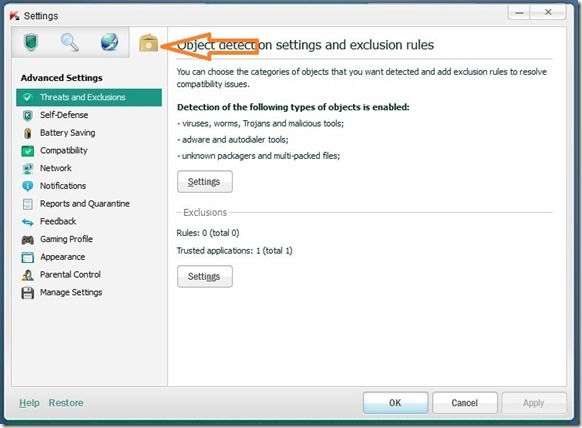 Step 3: Click on the box shaped icon to switch to advanced settings. 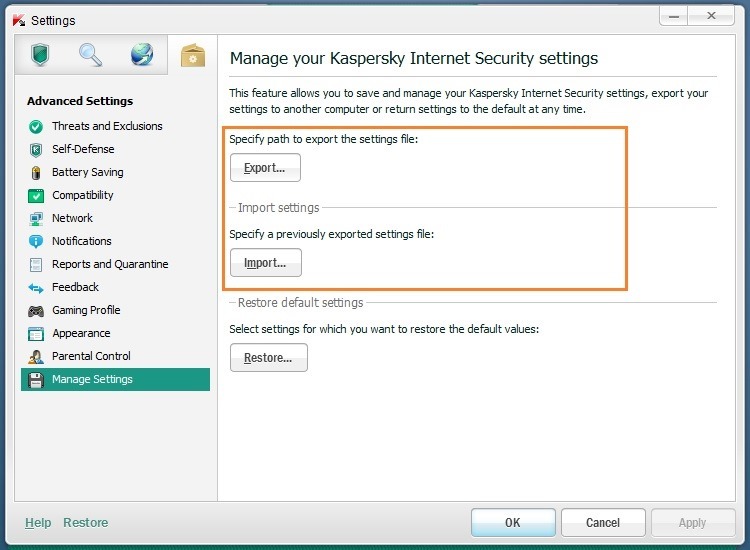 Step 4: In the left, under Advanced Settings, click on Manage Settings to see options to save and manage your Kaspersky Antivirus or Internet Security settings. Step 5: Click on the Export button and then select a location where you would like to save the settings file. To import a previously saved settings file, click on the Import button, browse to the location where you have the settings file, and then click Open button. That’s it! And if you’re using the default Windows Defender in Windows 8 to protect your PC, don’t forget to add Scan with Windows Defender to file and folder context menu to quickly scan your files and folders against viruses and other threats.